Focal Sphear review | What Hi-Fi? The Sphears may be pricey at £100, but their clever design, comfortable fit and engaging sound make them worth the money. The French hi-fi company spent two years developing their debut in-ear headphones, and they certainly seem to have given plenty of careful thought to the Sphears’ design. The in-line remote and mic button is discretely hidden in the logo in the cable’s Y-section, for instance, making it easy to use. And that Focal logo on the buds acts as the bass reflex port, which is pretty clever. The stainless steel build is solid and feels of a high quality, but most importantly, that sleek, round design is ideal for keeping the buds secure. They fit snugly, and never feel as if they’re going to pop out. Which is a good thing, as you won’t want to stop listening to the Sphears. They sound wonderful. The lilting piano notes in the Amelie soundtrack are fluid and weighty, with each clunk and harmonics delivered clearly. Lenny Kravitz’s Are You Gonna Go My Way is packed with heavy guitars and attacking drums, and the layers of textures are laid bare in a fairly open soundstage. It’s a big sound, and the Sphears tackle that punchy, addictive riff with an agile rhythm and a convincing sense of solidity. Our only criticism is that the Sphears – as refined and mature sounding as they are – can sound a little polite. That rawness to Alice in Chain’s Unplugged performance isn’t fully conveyed, although you do get a real sense of the live audience. 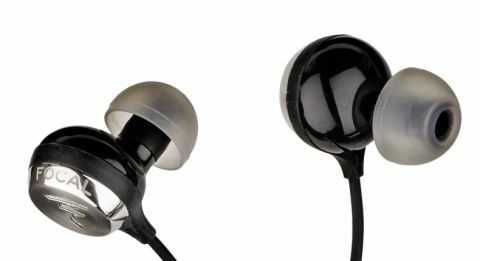 Rival in-ears, such as the Sennheiser Momentum M2 IEis, are a tad livelier and more expressive. It’s a minor worry in an otherwise accomplished performance, though. That full-bodied sound and excellent design have won us over – we’d spend £100 on these in-ears.